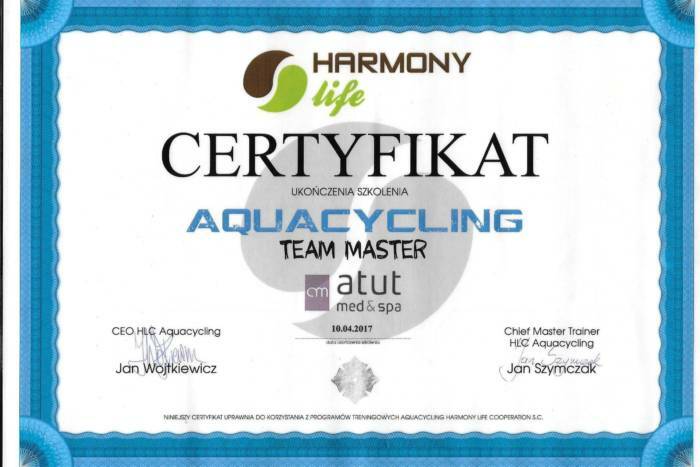 REVOLUTIONARY WATER FITNESS AT ATUT MED&SPA! 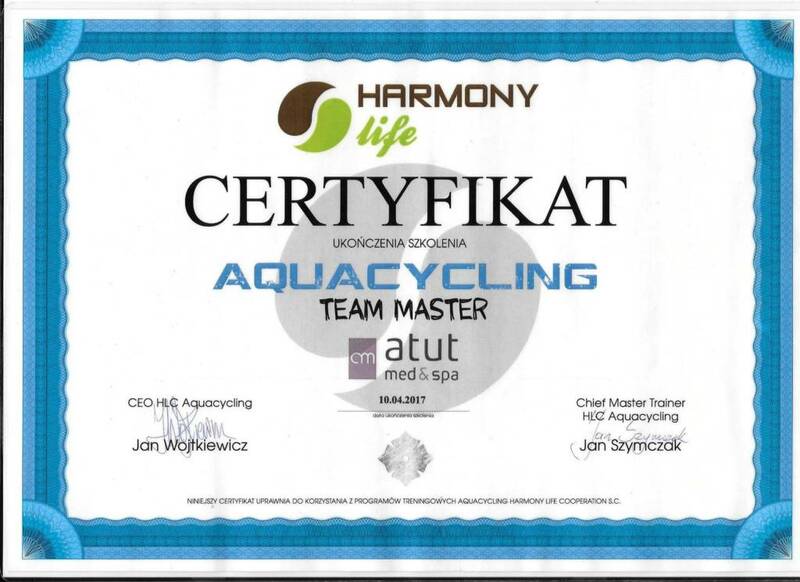 Enjoy the unique PoolBiking® training on stationary bikes and prepare your body and physical condition for the summer. 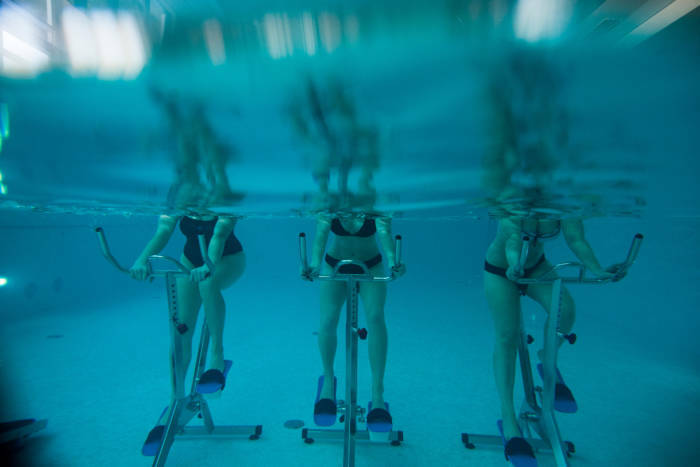 AquaBiking is an amazing way to exercise all body parts and enjoy yourself at the same time! It’s a full body workout to a rhythmic music and fun choreography. If you’re looking for an effective weight loss, want to fight cellulite and experience a relaxing massage effect while exercising then join our AquaBiking group! AquaBiking is a perfect training for overweight people and those with sensitive joints. Water resistance is safe for your joints and you will feel less fatigue than with a typical workout at the gym. The 45-minute AquaBiking classes are simultaneously a one-time pool entry (80min). Number of spaces are limited. Book: (+48) 63 270 87 15 or at Atut Med&SPA reception.